Hello Bios-Mods. 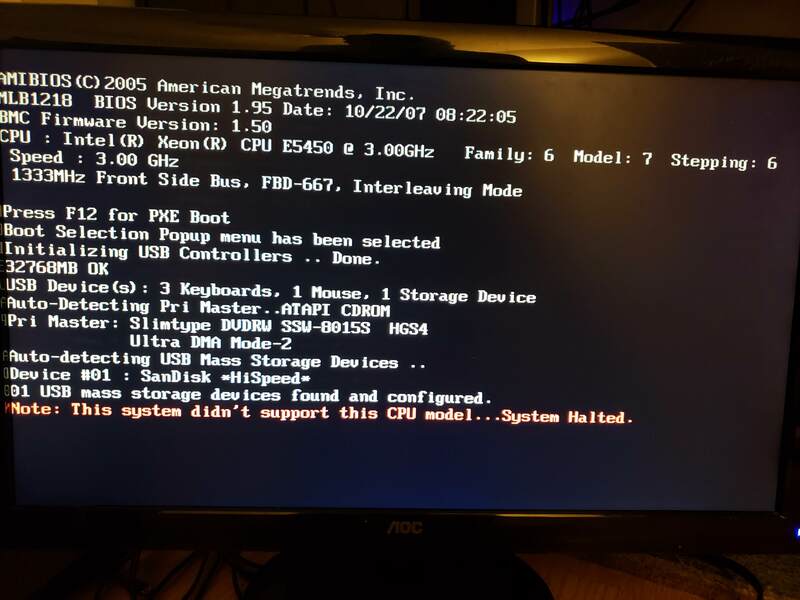 I'm requesting help on flashing a BIOS for my AMI BIOS motherboard MLB1218. This motherboard came on a server that was passed down to me by a buddy of mine as he has no use for it anymore. The server is an old Gateway E-9425R that came stock with a Xeon 5110. 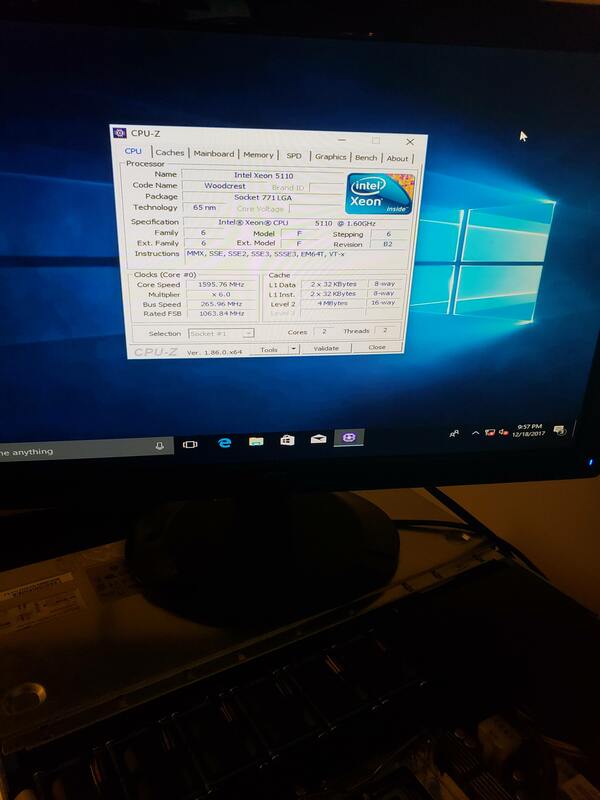 Trying to give it dual Xeon 5450s but upon popping one in it states that it isn't supported by my BIOS. The latest BIOS revision from Gateway's website (1.95) states that it added support for Harpertown release candidate (C0) but will still not work even when flashed to the latest revision. Both 5450s I've ordered are SLANQ which are noted as being C0 core stepping. 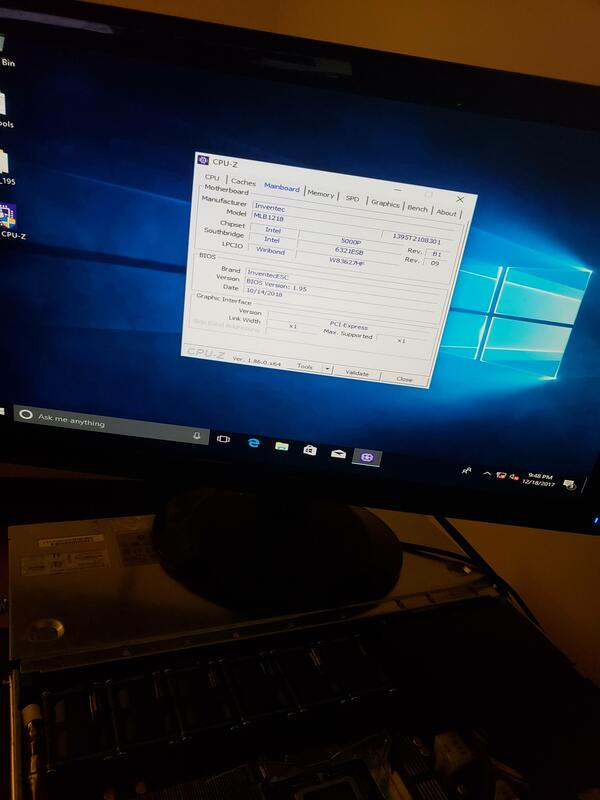 I've tried flashing the BIOS myself, had someone extremely helpful on another forum have their go at it with microcodes from 2015 where as mine were from 2010, and still no go. Requesting help from anyone who has more experience than I as this is my last hope for getting these chips installed this motherboard before I downgrade them to something else. If there is anything else needed I can supply them too. To see everything I've tried so far in greater detail you can see then on this OCN forum post I've made. If linking to another forum isn't allowed it's totally okay to edit this post and remove this line or just ask me to and I will. Hello DeathBringer! And wow, that worked without any problems! I looked at the microcodes and it seems you didn't touch them from the original ROM, may I ask what you did so I know for future reference if I'm able to do this myself? Always trying to learn. Thank you very much for the fix!! I've patched CPU check and updated microcode. BTW: I'm not a tutor.